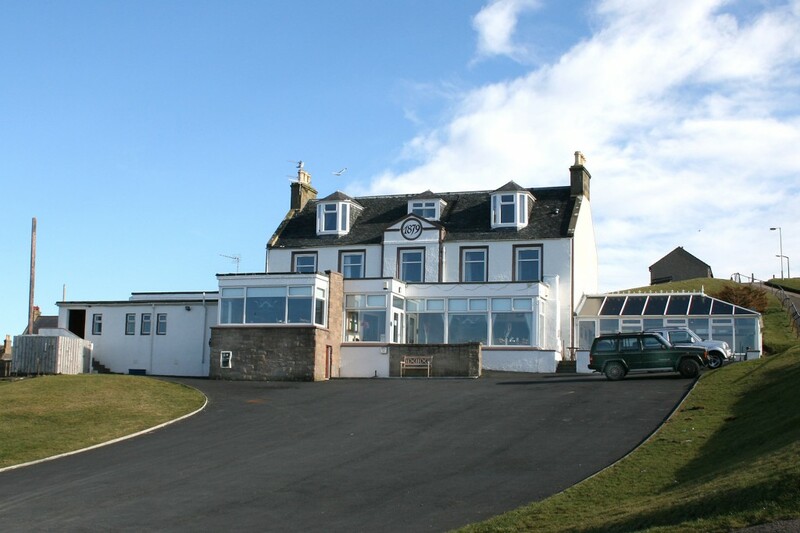 Located in the heart of Macduff in an elevated location, The Knowes Hotel is a small family run hotel offering a warm Scottish welcome with breathtaking views over the Moray Firth coast to the Caithness coastline. We now offer 5 en-suite rooms, 4 of which have sea views. The bar, restaurant and conservatory all have outstanding views and we also have a Function Room in which we can cater for groups of up to 96. The restaurant can seat up to 26 and is ideal for small groups who wish either formal or informal dining and menus are created to suit the individual needs of the group. For groups of up to 40 we can offer a private dining area in a partitioned section of the function hall and the hall can also be opened up for larger groups.